I am sitting in a rickety chair inside a laundry room. My clothes are drying. Rain is falling hard outside and sent the hummingbirds and quail into hiding. I haven’t written anything from a laundry room in decades. It feels like a strangely decent place to write. Earlier, I wrote a letter in longhand while the clothes were washing. Presently, I am typing this on my AlphaSmart word processor. 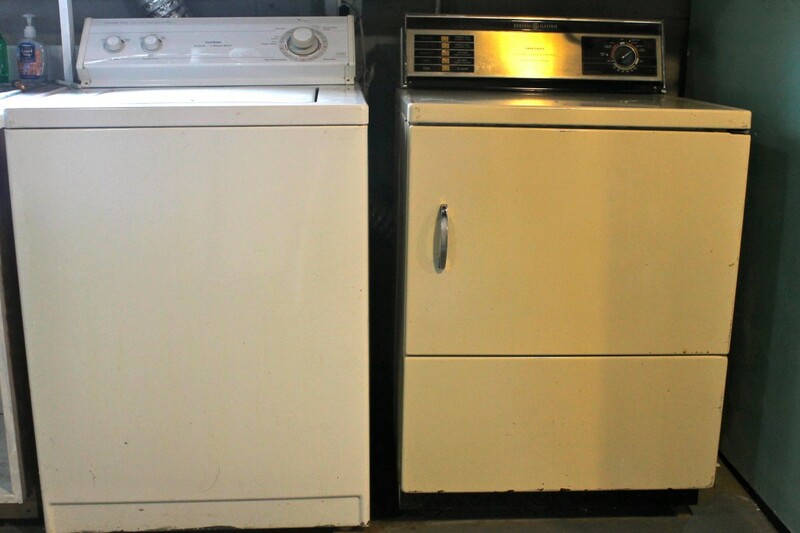 I am allowing my thoughts to meander with the sounds of the dryer turning and tumbling and the change and buttons making their cracking sounds against the metal. It is chore day: vacuuming, laundry, cleaning, clearing, building some new shelves, re-positioning items here and there, unloading beaverwood from the car, etc. The Bonnie and Clyde book has moved into the production phase and that is a tremendous relief but also stirs up feelings of great loss because that project has consumed me for over two years. At the last minute I cut 10,000 words from the manuscript, a fifth of the total! It was actually pretty easy and the right decision. That section will become another book I’m thinking of calling A Discourse on Dogs. My installation of 14 driftwood forts on one beach is no more. A freak windstorm toppled half of them and battered the others. Oh well, that is the nature of driftwood forts. I’ll build new ones on the sites of the dead one. I’ll use the remains of the dead forts and new materials delivered down from the watersheds. What a glorious driftwood year it has been. The other day, I helped carry an elderly man out the door of an OTA joint. I was assisted by a young woman who had brought him into the bar. She told me he was a roommate. He was either drunk or insane but certainly enfeebled and barely able to walk. They were on foot and I thought I was going to have to walk a half mile to get him safely home. But once we got outside the joint, she saw a roommate walking across the street and hailed him over for assistance. Odd indeed. I may have a friend visit me. I have another friend in town visiting me. I’m showing him certain Oregon Coast marvels, one of which is beaverwood. He’s delighted with the choice cut I gifted him. It will be traveling across the country in his luggage soon. Beaverwood stashed in luggage!!!! With Bonnie and Clyde and the OTA books finished, my mind turns toward writing fiction. I am ready to unleash all my creative energy into that pursuit, a novel, more tales, perhaps even a podcast that serializes some of the projects. A possible new collaborator is also emerging. Whether this writing will be published conventionally or unconventionally, I have no idea. The point is to release my writing in that direction and see where it leads. I am on a new literary path, one that I never foresaw for myself after the personal cataclysm. Bonnie and Clyde helped me discover it.